As we progress with our national campaign to Change the Rules in Aged Care we are pleased to advise that to date we have close to 2,500 letters from members of the community asking politicians to commit to our campaign. A full list of politicians nationally who have pledged their support to the campaign to date click here. We will continue to put pressure on our federal politicians through social media, market stalls and media advertising. We have had commitments from a number of our workplace representatives to help get the message out and we’d love to hear from you if you are interested in getting involved in the campaign. If you are interested in getting involved in any events or actions between now and the election on 18 May 2019 please contact our Communication and Member Engagement Officer at mandy.clark@anmftas.org.au. ANMF met with members at MCT Fred French to discuss ongoing workload concerns and follow up matters from a meeting with management on 7 March 2019. ANMF will again raise member concerns with management and pursue a process by which members can start to record their workload concerns via an ANMF ‘Short Staffed Workload Form’. Further updates to follow. The trial of HCA’s has now concluded. ANMF has requested that, in line with the consultative committee agreement, the THS circulate a post-trial survey. ANMF have reviewed the survey questions and understand this will be provided to nursing staff at Scottsdale this week. On recept of the results of the survey ANMF will schedule a membership meeting. At a meeting of members on 21 March 2019 to discuss the proposed restructure, members raised a number of concerns including: change to rostering practices, payment of overtime and possible loss of hours. The ANMF have written to the Facility Manager to request a meeting to address these issues. 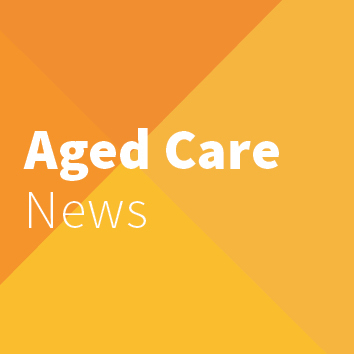 ANMF received correspondence on 14 March 2019 outlining a proposed restructure of clinical services at Umina Park. ANMF met with members on 21 March 2019 to seek feedback on the proposal. ANMF has provided feedback to OneCare and asked questions on members’ behalf. ANMF is waiting on a response and will follow up the week beginning 8 April 2019 if no response has been received.